Food & Beverage Processing, Storage and Service areas. Food safety is one of the highest concern to food producers and consumers but the number of reported cases of food poisoning is on the increase despite enforced regulations and sophisticated management systems. Escalating microbial resistance to chemical biocides used in processing plants and a growing demand for higher volumes of products for a burgeoning world population have dramatically impacted manufacturers and their quality assurance strategies. The use of AQUAOX™ ECA generated Hypochlorous acid (HOCL) offers food producers a safe, cost effective alternative to current cleaning and sanitation products. HOCL is a productivity and profitability enhancing quality assurance tool for the optimization of food processing plants. Hygiene is comprised of 2 basic steps. In food processing, Hygiene Management is comprised of 2 additional components. CIP: Cleaning in Place (fixed equipment that cannot be accessed easily). COP: Cleaning out of Place (movable equipment, floors and other accessible surfaces). Both CIP and COP require a process of cleaning and disinfecting. 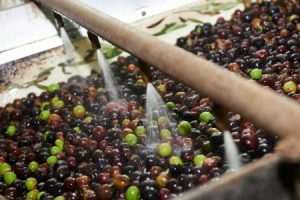 HOCL can be used for disinfection throughout the entire food production process as well for application directly on food, thus offering a solution that addresses the hygiene of the entire processing plant. Alkaline water (NaOH) can be used for cleaning as detergent or surfactant. Treatment and elimination of bio-film contamination in the processing plant. Elimination of microbial contamination in fresh foods by including HOCL in the food preparation. Cleaning-In-Place (CIP) of process plant and equipment, including pots, tanks, centrifuges, pumps, piping, filters, filler heads, pasteurizers and general surfaces. Continuous decontamination of production water to eliminate the introduction of micro-organisms into the process through poor quality water. HOCL is safe to use as a final pre-process rinse. Improved Cleaning-In-Place (CIP) of the food-processing environment. Chemical free decontamination and sanitation procedures. HOCL eliminates all known bacteria, fungi, yeasts, viruses, molds and spores. Costs associated with product returns are reduced. Assured microbial and biofilm control in process plant reduces down-stream contamination of product. Enhanced microbial and biofilm control provides confidence in offering Quality Assured Products and in conforming to HACCP requirements. HOCL is approved for use in food processing by the US and European Regulatory Authorities. Introducing HOCL to the processing techniques will not disrupt the current processing protocols. Spoilage by microbial contamination of products is reduced. Shelf life of products is increased due to reduced microbial contamination.